Red polo necked jumper with blue zip on neck and collar. Zipped pocket on chest. Canvas shoulder and lower arm protectors. Black ellipse with "STYLEFRANCE" inside. 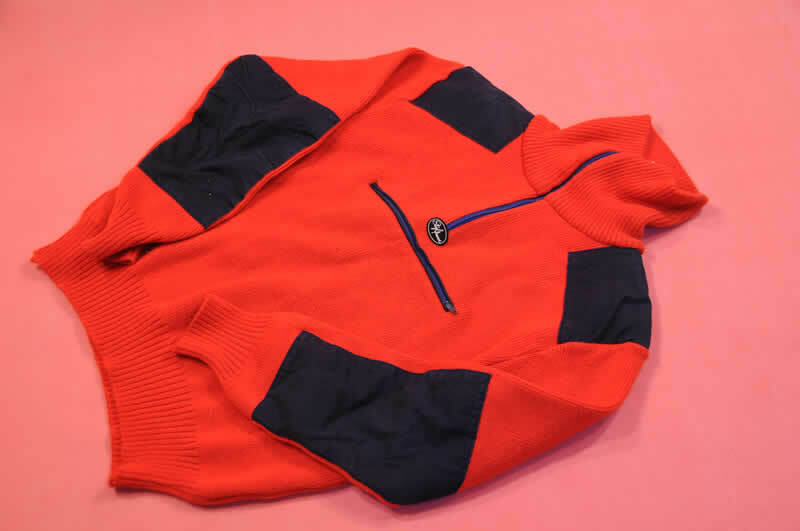 Size label reads 50 and another black label inside neck reads "STYLEFRANCE SKIWEAR"